Building your own PC isn't as popular as it once was. As laptops, tablets and 2-in-1s have become more popular, we've grown accustomed to using slim and portable computing devices at home, at the expense of the traditional desktop (and the art of building one). However, don't dismiss the idea of building your own computer out of hand - there are still some very compelling reasons why you might want to take on the challenge and put together your own rig - from costs to customisation - which we've outlined below. Perhaps the most common reason people build computers of their own: you get full control over the specs. CPU speed, amount of RAM, storage space, graphics power... it's all up to you. You don't have to accept a compromise chosen by a PC manufacturing firm. If you want a combination of SSD drives and traditional mechanical hard drives, or more RAM than the big PC firms are offering, or a machine that's specifically geared towards a certain task (such as video editing or gaming) then going it alone gives you that flexibility. Don't forget all the extras and accessories as well - from the operating system you install on your brand new PC, to the keyboard and mouse you hook up to it, everything is chosen by you. Essentially, you have a blank page to let your PC-building imagination loose on. This is dependent on you actually knowing what you're doing, of course, but choosing the components for your own machine gives you the opportunity to save some money if you don't need a CPU that's all that speedy or you want to go for a slightly older graphics card. On top of that you're not paying any labour costs because you're doing all the building yourself - if you add up the cost of the components for any new PC listed for sale, you'll usually find buying all the bits separately for yourself can save you a chunk of cash. It's the same idea of ultimate flexibility that we mentioned in our first point: because you're tailoring the system to suit your needs exactly, you're not paying for hard drive space you don't need or a flashy front USB port panel that you're never going to use. Here's another area where going your own way has its benefits: the design of your new PC. Whether you need something big and beefy for VR, or something small and compact to sit under the TV, you get to choose the case and size of the PC as well as everything else. 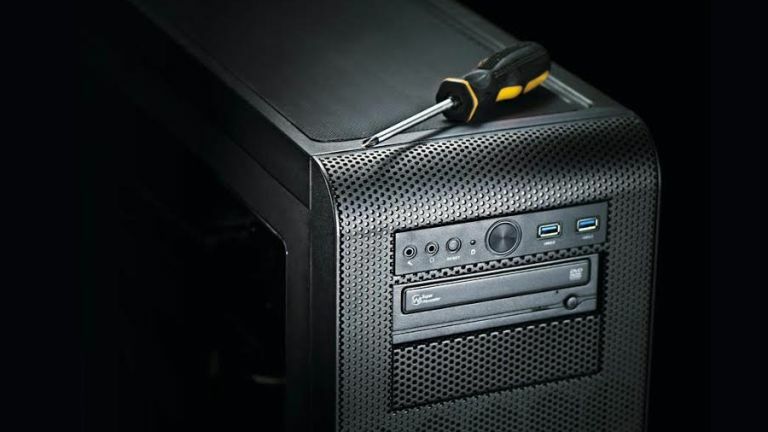 Eschew the boring boxes favoured by the big manufacturers and instead find the case that suits you (and your components) perfectly - you might be surprised once you start shopping for your PC around at the choice of different case designs and styles out there. If you really want to push the boat out with your computer building, take a look at some of the fantastic desktop PC mods that are out there: you can turn your machine into an off-road jeep, a kitchen toaster, an Aztec treasure or pretty much anything else you like. As those of you who've built a PC in the past will know, putting together your own rig can be a hugely rewarding and educational experience - there are likely to be some mishaps along the way, but you'll learn a lot about computers and how they're put together. Although it might seem daunting to the complete beginner, building a PC isn't all that complicated, and is basically like a simple jigsaw puzzle where you slot pieces together. There are plenty of guides on the web to help you work through the process step-by-step. Building your own PC can mean starting from scratch with a batch of freshly bought components, but it doesn't have to - you can repurpose bits from other computers to use as a foundation, or take a computer you've previously purchased and upgrade it. We've already emphasised the flexibility that building a machine of your own gives you and that's also true when it comes to upgrading. You have the opportunity to leave space for future upgrades (by buying a case that's bigger than you currently need for example). Of course all that PC-building experience is going to come in handy if you ever want to add new bits or swap out existing components for new ones - if you have the cash, you can buy basics like a motherboard that are future-proofed for whatever comes down the line next.